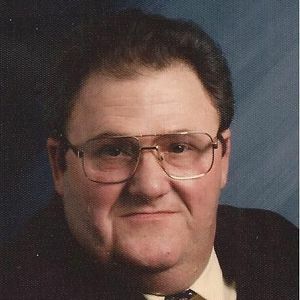 CENTRAL CITY - Alex "Henry" Anderson, 67 of Central City, died Wednesday, December 5, 2012 at the Muhlenberg Community Hospital in Greenville. He was born September 9, 1945 in Muhlenberg County, was a retired coal miner and a member of the Church of God of Prophecy in Central City. He is preceded in death by his wife, Claudette Anderson, a son, Henry Allan Anderson and his parents, Walter and Loretta Evans Anderson. Survivors include a daughter, Melissa Anderson(Norman)House of Central City, a son, Christopher Lynn Anderson of Greenville, three grandchildren, Preston Alex Keith House, Bethanie Layne House and Skyleigh Grace House, two step grandchildren, Angelia Marie Franklin and Natasha Nashae Smith, three brothers, Walter(Alice)Anderson of Central City, Bobby Joe(Marilyn)Anderson of Greenville, and Jimmy(Donna)Anderson of Central City and a sister, Becky Sue(Sonny)James of Central City. 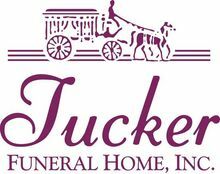 Funeral Services will be held Saturday December 8, 3012 at 1:00 PM at Tucker Funeral Home in Central City, conducted by Rev Arnold Harper and David Anderson with burial to follow in the Fairmount Cemetery in Central City. Visitation will be after 5:00 PM Friday and after 8:00 AM Saturday at the funeral home. The beautiful and interactive Eternal Tribute tells Alex 's life story the way it deserves to be told in words, pictures and video. Melissa and Family, so sorry for your loss. Praying that God will wrap his arms around you and comfort you in this time of sorrow. I have known Henry for 53 years (the seventh grade) and he has always been a good friend. We had a lot of laughs together in the old "car lot" days and he was a great Husband and Father. I'm sorry I can't be at the funeral home to express my sympathy to the family due to work obligations (auctions) but always celebrate his zest for life and his love and pride for his family. He will certainly be missed. May God bless and comfort you during this difficult period. My heart goes out to your family...This man was a dear friend to many...He is going to be so missed..May you each find comfort with God....Met him as a child..He always was a very nice guy...Know he is where he wants to be with his love who he missed so much. The world has lost a bright light in the passing of Henry. He was one of the kindest, nicest, and most generous people -- always thinking of how he could make the way a little better for others -- always giving, always smiling, always telling a good story or a funny joke! And he was a good photographer -- we came to rely on his work for breaking news at NEWS 25! My heart goes out to Melissa and all his family. I know you'll miss Henry so much -- as we all will.